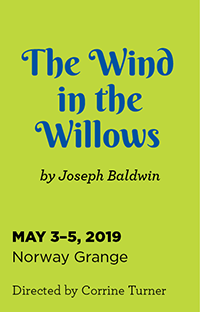 Based on the classic book by Kenneth Grahame, this children’s production features the adventures of Toad, Ratty, Badger and Mole. Tickets will be available online at Brown Paper Tickets and at The Tribune, 430 Main Street, Norway. Cash and check only; no calls, please.